After buying a camera, one of the most important purchases to follow will be a lens for it. Many bodies come with an 18-55mm variable focus lens, as it is both basic and versatile, but venturing away from it is akin to a hatchling leaving its nest, and the knowledge needed can be just as frightening. Focal length, aperture size, zoom, and other features affect, of course, the price of the lens, but also what you’ll be taking pictures of. A lens mount determines the physical compatibility of a lens with your camera. Generally, all Canon lenses will fit all Canon bodies, but it is an important spec to pay attention to, especially when dealing with third party lenses that may have a more restrictive mount. Lenses can be adapted to fit on other cameras, but doing so may compromise features that operate electronically, such as auto-focus. Perhaps the most important property of a lens, the focal length, determines two important factors: the angle of view and magnification of a photo. The shorter the focal length, the larger the angle of view and the wider of a scene a shot will capture. Conversely, because lenses with longer focal lengths have a narrower field of view, they effectively zoom into an image much more. Standard lenses have focal lengths between 35 and 100mm. Below this size reside wide angle lenses, and above, telephoto lenses. Wide angle lenses tend to be excellent for architecture, indoors, and scenery. Lenses can either have only one focal length, known as a prime lens, or variable length, designated by a zoom power and the range of focus. With a prime lens comes the advantage of lower cost and better optics, but a variable lens will have the versatility to remain in one spot and focus in on a scene. An aperture is the hole that lets light through to the sensor. Lenses have an array of aperture sizes to be selected from, but the defining property is the maximum size that the aperture can open to. When looking at aperture sizes, notation such as f/2.8, f/4 will show up; the bigger the number, the smaller the aperture. The larger the opening, the more light can reach the sensor in a certain amount of time. Therefore with a wider aperture you can use shorter shutter speeds, which allows you to shoot moving objects or dark rooms better. There are of course other features that lenses may come installed with. Some may have always-on manual focus, which allows you to make adjustments to the camera even when autofocus is engaged. Other lenses may even electronically stabilize the image for you. These are features that can be individually added to your wish list. As a general rule, you can narrow the focus of what kind of lens you’re looking for based on what you want to take photos of. For focal length, a wide angle lens does well for shots that are vast in scope, while telephoto lenses zoom in on faraway action. The maximum aperture opening you’ll need will be decided by how fast, and how dark whatever it is that needs to be photographed. 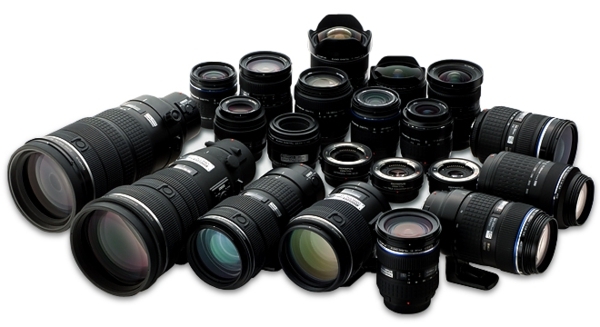 Looking at photos taken with lenses is a fast way to tell which one will suit your needs. Bill Green is an engineering student and freelancer for Photo.net where you can find a wide selection of camera lens reviews by professional photographers.